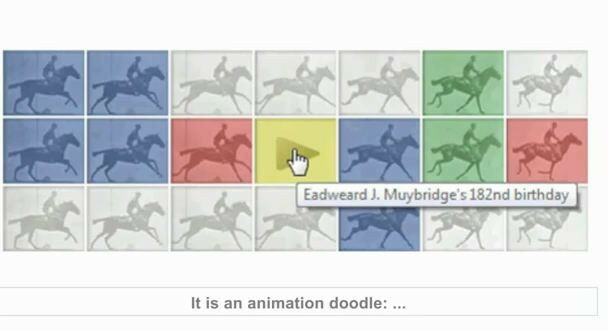 In a blog post from two months ago, I featured a google doodle that highlighted cinema pioneer Eadweard Muybridge, and today they have another excellent animated doodle (yes, it’s a real winner, check out the entire animation!). 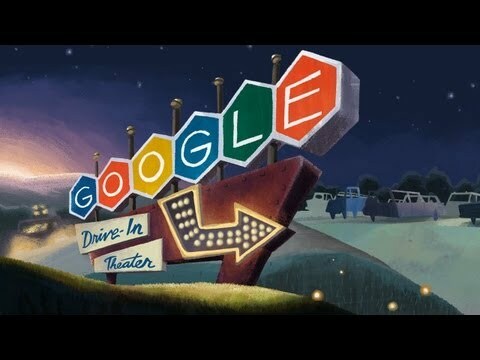 This time it is for the anniversary of the opening of the first drive-in theater in the United States 79 years ago, when Richard Hollingshead Jr. opened the first drive-in theater on Crescent Boulevard in Camden, New Jersey. Many questions can be raised when thinking and talking about drive-ins: why did drive-ins begin, when and why did they flourish, and why did they dwindle away? Why are drive-ins a particularly American phenomenon? How have people experienced moving images over the years? How do you experience them today? How have the economics of movie distribution and of independent theaters (such as drive-in cinemas) evolved over the past century? What percentage of a movie theater’s profits derive from its concession stand (which in turn brings up one of the most iconic aspects of drive-ins: the history of advertising linked to concession stands)? Fascinating investigations can be made on how motion picture marketing, distribution, and screening occur, particularly from the vantage point of a local perspective. What are the theaters in close proximity to one’s community? Are they only chain theaters? Are there other public venues for watching motion pictures? What options exist for television and cable viewing? What is the percentage of viewing that you do through streaming sources? How often are you paying any motion picture creators when you watch moving images? In my own region, a favorite theater of my family has been the Northfield Drive-In in Northfield, Massachusetts. Like many of the drive-ins still in operation, it has a rich history of entrepeneurship and family ownerships. It is also entertaining to consider the full social, aesthetic, and gastronomic aspects of moviegoing, of which drive-ins offer many provocative angles!